Misprint: E2 is 'Mr. Udo' but all artwork states incorrectly 'Savor'. Albums housed in die-cut inners with Santana Lotus logos on each. 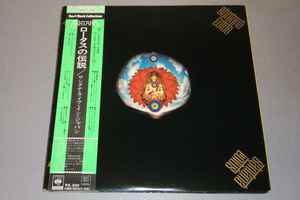 Recorded live July 3 & 4, 1973, Osaka, Japan.